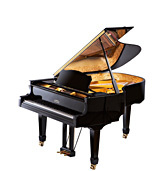 Thank you very much for your interest in the Estonia grand and concert pianos. During the period of 15.12.2015 - 14.12.2016 Enterprise Estonia has been supporting companies in the field of Creative Industries as part of the program to develop their export capabilities with the project Export Grant for Creative Industries (15.12.2015 - 15.12.2016). The project has been financed by the European Regional Development Fund. 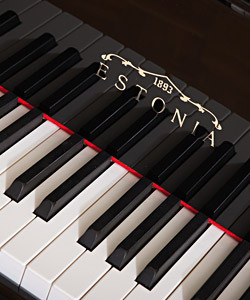 The export grant Estonia Piano Factory receives is 48 838,30 euros in total. 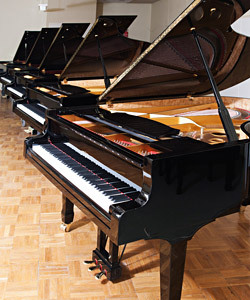 Where do we differ from other high-end pianos? "Esto nia" means be all. A symbolical meaning would be that these tones create an all incompassing sound. It is our aim to make the piano sound so singing, colorful, poetic and rich, that it would enable to perform different periods and styles - Baroque, Classical, Romantic, Modern, Jazz - on the highest musical level. 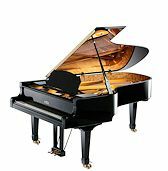 It's one of the most challenging tasks for a piano is to produce the singing tone - the beautiful tone with long sustain that creates the effect of cantabile. 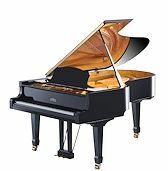 When you play a note on the new Estonia grand piano, please carefully listen to its long sustain, as it sings and resonates effortlessly. Now play the note with the pedal opened (raised dampers), and listen to the sounds again. Did you notice the colors of different tonal keys? 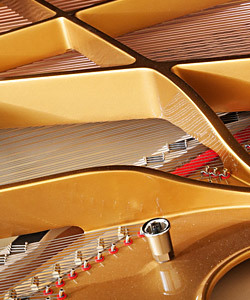 Whether in E Major or a minor, the piano responds with strong musical colors. The rich color palette is a must for a painter as well as for a pianist, and your instrument should have the richness of colors with which you can make the music so beautifully. Remember the warm, singing tone of the Estonia!. Its depth and definition give the music spatiality and balanced foundation. 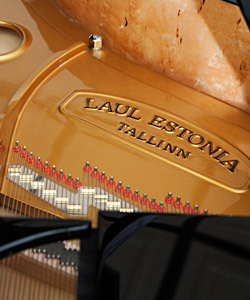 The bass strings are specially desinged for each Estonia piano model, and handmade at our factory. It's strong and rigid wood, glued carefully, and dried slowly - in order to acquire the necessary balance throghout the entire keyboard. The dense body keeps the energy in the soundboard and lets it resonate freely. The soundboard design is enhanced with varied thickness, correct crown, accurate design and placement of the ribs. Listen carefully - the sound of Estonia is uniquely rich and singing! Probably a lot of you have, and on the other hand many others haven’t heard of the new kid on the block - The Estonia Piano. According to the Columbus Dispatch, last year the Estonia Piano Factory in Tallinn exported 300 pianos both grands and baby grands, most of them to the united states. Chris Foley Points out that it would be interesting and important to know how these piano age. Sounding wonderful in a show room is one thing - sounding great after a few years is quite a different matter. A Fine Way to Treat... an Estonia. Bright-and-brash-sounding pianos might be the norm, but the still little-known Estonia piano is making sweet noise with Old World parlor grands. The Russian-born Dmitry Sitkovetsky, a world-class violinist, and his American wife, the light soprano Susan Roberts, are consummate classical musicians who demand the best. Sitkovetsky performs on his very own Stradivarius, for example, an instrument built in 1717 and worth over $3 million. But that’s precisely why a visitor to their London town house can’t help noticing the grand piano sitting in their living room is no German Steinway, Bechstein or Bösendorfer. It’s an Estonia. Six years ago Sitkovetsky and his wife walked into a top London piano dealership looking for a piano that could accompany their rehearsals at home. 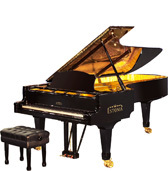 "There was this piano that sounded good," recalls Sitkovetsky, immediately struck by the Estonia’s tone, "and the price was certainly competitive to the more famous brands, which sometimes don’t quite deliver what you expect. 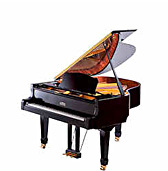 This is a very good working piano." Since then other music industry insiders–such as Grammy nominee Marc-André Hamlin–have picked up on word-of-mouth and discovered the high-quality piano. Says Neeme Järvi, chief conductor of the Detroit Symphony Orchestra: "It is one of the best-kept secrets in piano making today."